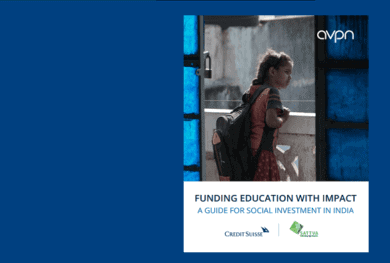 Increasingly, AVPN observes a trend of social investments moving into ESG compliant entities. The investors driving this move are institutions such as the wealth management and retail arms of banks, PE/VC Funds and family offices. ESG investing presents another strategy for social investors towards a total portfolio approach. 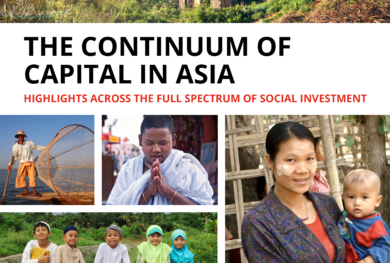 AVPN and Oliver Wyman have collaborated to inform investors in Asia about their role in channelling their capital to improve social and environmental wellbeing along with achieving desired financial performance. 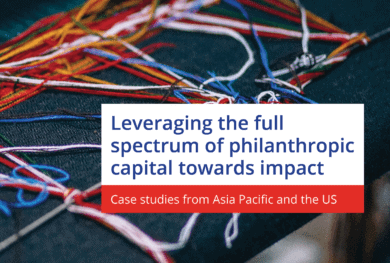 The report captures the experience and insights of a sample of 10 AVPN members based in Asia who are at different stages of their ESG Investing journeys, and provides key learnings and recommendations for those aiming to embark on similar journeys. 1. ESG Investing is a holistic approach to incorporate critical environmental, social and governance (ESG) factors into the investment analysis and decision-making process for an organization. 2. Growing evidence of ESG performed at par with the benchmark index are incentivizing investors to integrate ESG factors into their investment strategies, incorporated as enhanced risk management responses to the evolving complexity of global systemic risks. Certain demographic groups, such as millennials and women investors, are also asking for investments that are both good for society and the environment, as well as for their portfolio returns. 3. However, Asian investors still fall behind their global counterparts in the take-up rate of ESG Investing – this low take-up rate is attributed to legacy issues, short-termism, lack of awareness, and talent gaps. 4. Fortunately, the mindsets and perceptions of Asian investors toward ESG Investing are changing owing to the wide sharing of successful ESG Investing-related experiences. Moreover, regulators and institutional investors are increasingly committing to internationally-recognized principles for ESG Investing and national stewardship codes (such as in Singapore and Japan), taking steps to reform their practices. 5. 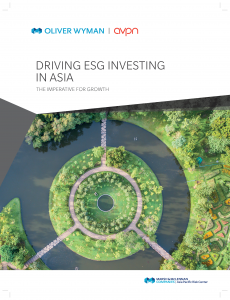 In general, investors in Asia are represented across a broad spectrum of practices, perspectives, and experiences of the different maturity stages along their ESG Investing journey; each presenting its own challenges and benefits while playing different pivotal roles. 6. To begin the ESG Investing journey, investors must first challenge the status quo and generate evidence for change. Identifying key knowledge gaps and upskill by assessing the educational state are essential next steps to becoming ESG Investing experts. Finally, identify ESG Investing champions who are leaders within their respective fields who can share their approaches and inspire others. 7. In this paper, we suggest seven practical recommendations for advancing stakeholders in their ESG investing journey. Implementing these suggestions at each stage will support the steady development of ESG capabilities, and chart a path for sustainable investing, growth, and development across Asia.